iOS 10.3.3 Beta 6: What’s New Or Changed? The arrival of yet another iOS 10.3.3 beta may have taken some people by surprise, but while it shows that Apple continues to improve iOS 10 even after the official unveiling of iOS 11 at WWDC, it also shows that there is still plenty of work to be done on a mobile operating system that matures with each new release. Admittedly, this new beta does not offer any huge or fancy new features, but that isn’t always the point. 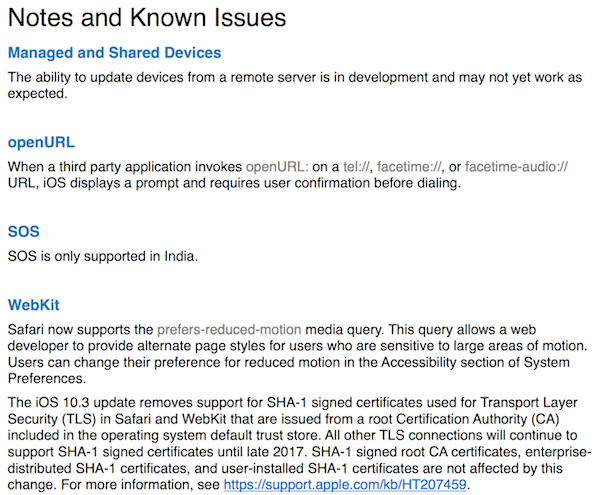 So what does iOS 10.3.3 beta 6 bring to the table? According to the release notes from Apple, not a huge amount. In fact, those release notes are identical to the ones which Apple distributed alongside the initial, beta 2, beta 3, beta 4 and beta 5 releases of iOS 10.3.3 from few weeks ago as well as iOS 10.3.2, so there is absolutely nothing new to whet the appetite there. Poking around the software does not bring anything particularly obvious to light, although as we told you previously that there are some fancy new iPad Pro wallpapers from beta 1 which users can get their teeth into and the good news is that they are present in beta 6 seed as well. It may be better than nothing, but forgive us for not fawning too much over such an inclusion. If you download and install iOS 10.3.3 beta 6 – it’s available for registered developers to get their hands on right now – then you can safely expect bug fixes and security patches to be the order of the day, and that’s OK. This release, at least in its current beta form, may not be anything that will set tongues wagging or pulses racing, but fixing bugs and plugging security holes is important, and we would much rather Apple did it than did not. But hey, that isn’t going to stop us getting even more excited to see what iOS 11 beta 3 will offer when released in the coming weeks. 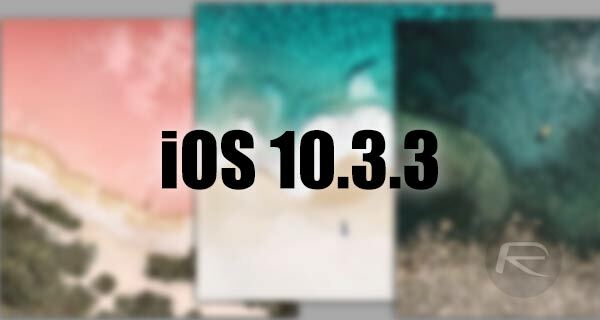 The arrival of the first beta release of iOS 10.3.3 may have taken some people by surprise ? And all to try and prevent a jailbreak…if it ever comes out.